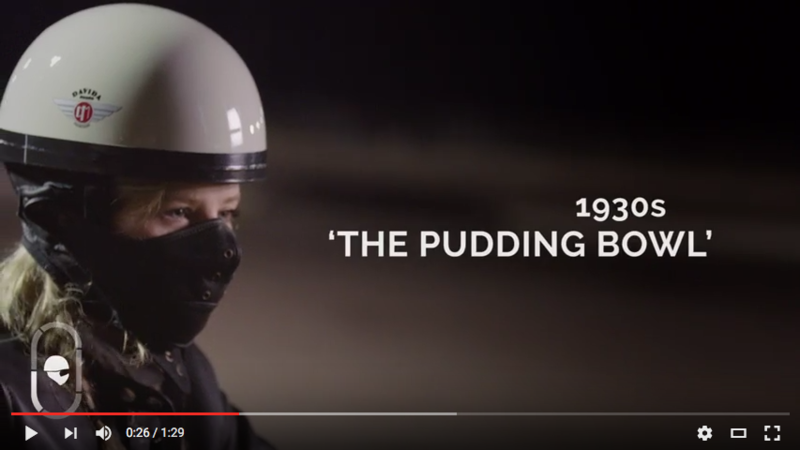 Technology can be invaluable when it comes to keeping motorcyclists safe, fuelled and pointing in the right direction – but which are the best biking apps? The team at Bikesure, the free-thinking specialist motorcycle insurance provider, like to stay ahead of the pack when it comes to new technology and here is their guide to the 10 best biking apps on the market for summer 2018. Rever is a cool new community based route and ride planner that helps you discover new rides and share your routes with friends. You can record rides with key stats like time, distance, average speed, elevation, and more, then share it with others in the Rever community or link up with other riders to find or create group rides. You can also complete challenges and unlock awards by riding more, and it enables you to cache maps onto your phone so you can still refer to when you lose signal. 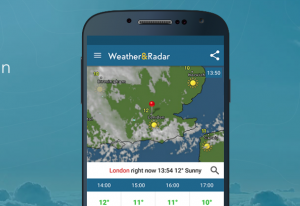 The weather is unpredictable but you can take the chance out of it with this great app. It provides eight day forecasts so you can plan ahead, warning of rain, hail, snow, freezing temperatures and, fingers crossed, sunshine, of check real time weather conditions. And it’s universal, you can programme it to provide weather information about any region of the UK and any country of the world. Weather & Radar can’t control the weather, but it can give you the latest and most accurate weather forecasts available. Sitting in nose to tail traffic is an anathema to bikers. We ride a motorbike so we can escape the city traffic and get out onto the open road and feel the wind in our faces. Disruptions too, caused by roadworks or potholes are a pain we could well do without. That’s where the Best Biking Roads app is a god send. This app does exactly “as it says on the tin” and finds the best and most traffic free touring routes through the UK and Europe. Hopefully you will never need to use this app, but it is handy to have installed and ready to go if it is required. If you crash or take a spill, CRADAR uses an accelerometer in the phone to detect the incident and alert an emergency contact. A text message stating your location will be delivered to emergency contacts (if you don’t deactivate the text in a set time period) so help can be sent as quickly as possible. 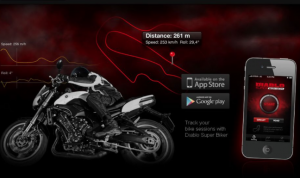 Particularly useful for sport riders, Pirelli Diablo Super Biker tracks different aspects of performance. Not only does it track a rider’s speed and route, but it also calculates your lean angle using the gyroscope in your phone. If you’re attending a track day, this app is a must have as lap times can be recorded, and any data collated on this app can be easily shared on social media – perfect if you want to show off your lap times to your friends. 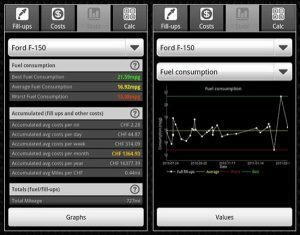 FuelLog is an app to keep track of fuel consumption, vehicle maintenance, and costs, and automatically calculates useful stats like miles per gallon. But it goes even deeper than that; FuelLog can also figure out average cost per distance or fuel amount, fuel cost per month or year, total distances driven, and more! 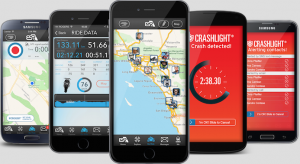 Whether you own a fleet of business vehicles or just want to see what kind of mileage your bike is getting after a carb tuning, this app should do the trick. 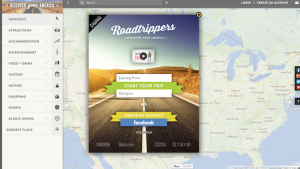 RoadTrippers helps you plan long trips like multi-day touring rides. It helps you discover great road destinations like cafes, scenic spots, local attractions, hotels, and more – it features more than one million Points Of Interest. RoadTrippers is the ultimate road trip planning app, and essential for Touring or Adventure riders. 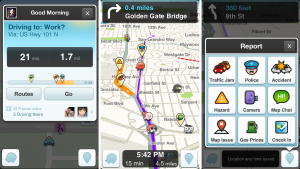 Waze is the world’s largest community based traffic and navigation app, and it shares traffic, road condition, and route info in real time to give you the most efficient way to get to your destination. It is a commuting app that was developed by and for drivers, but the ecosystem is so large, and the data so current, motorcycle commuters are sure to benefit from it as well. It may not give you the most scenic touring route, but it will help you get to your destination fast for those Monday-Friday rides. 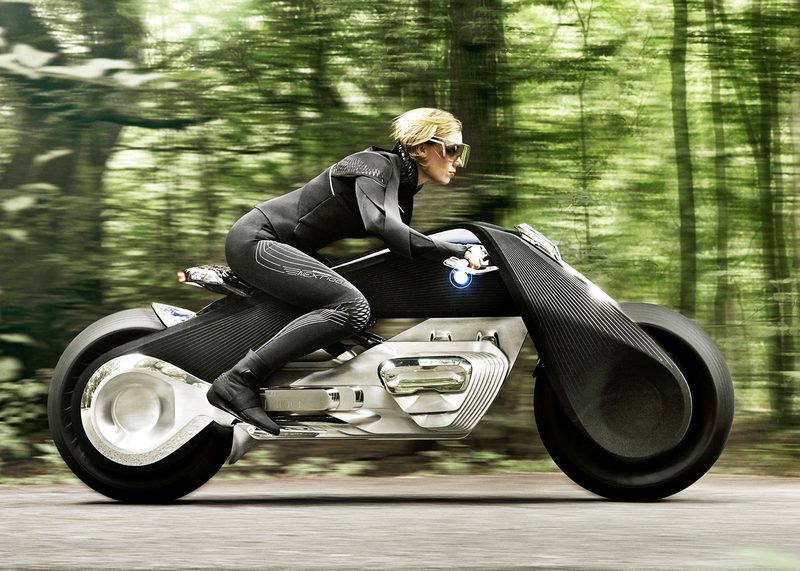 It can also sync you with other riders, and even find the cheapest places to find fuel on your route! 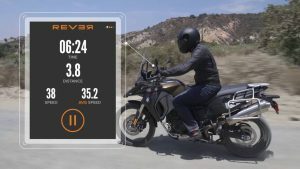 Eat Sleep Ride has an awesome user interface and a whole host of features perfect for motorcycling, like being able to track, save, and share your rides, replaying your rides with speed, elevation, and lean angle, allowing you to discover new routes submitted by other users, and more. 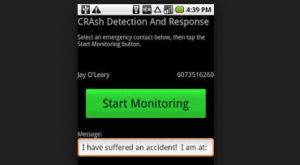 It features Crashlight, which, Like CRADAR, uses your accelerometer to detect a crash, alert pre-selected contacts and provide your location if its is not deactivated within a short period after the spill. All these apps are great, but the downside is, once your phone dies, you’re back in the dark ages. To prevent that, use a battery monitor/preserver like Battery Doctor, which will show you at a glance all the apps you have running, and how much battery life can be extended on each one. Essential for riders who get caught out a little longer than they planned with a battery life that is dipping down into the red (in other words, all of us!) (iOS and Android). 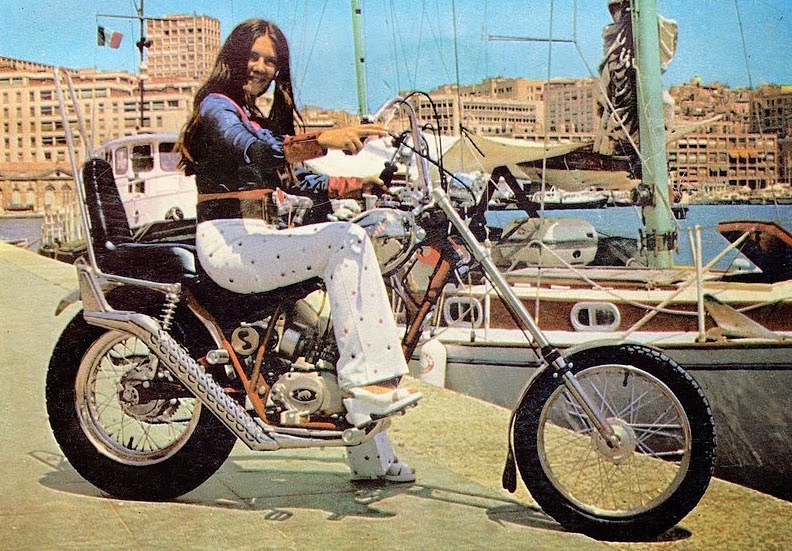 You don’t need a special app to find the best value for money motorcycle insurance on the market. Just call Bikesure on 0330 123 1028. 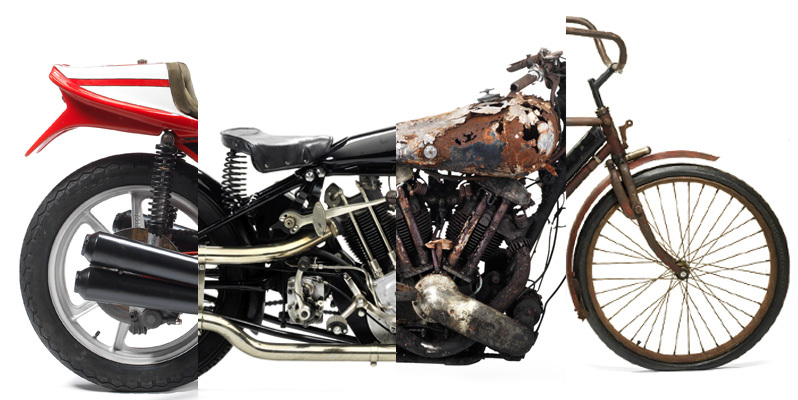 As a specialist motorbike broker, we will compare cover from dozens of providers to find the very best deal possible, whatever your individual needs. 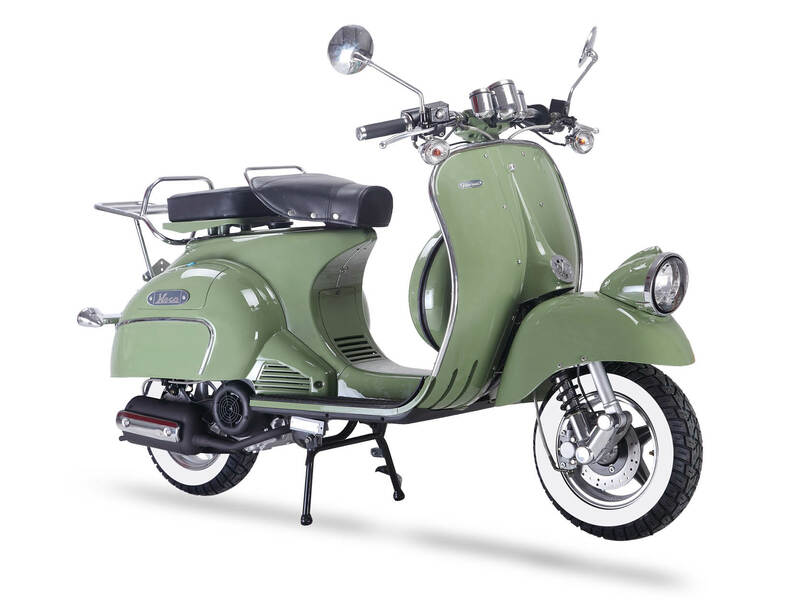 We have access to more than 40 different motorbike and moped insurance schemes so you can be sure there will be one just right for you.